Find out how Microsoft Dynamics SL Users power one another with generous knowledge-sharing during the DSLUG Conference. Why is professional development important to your success and how does the DSLUG Conference meet your goals? 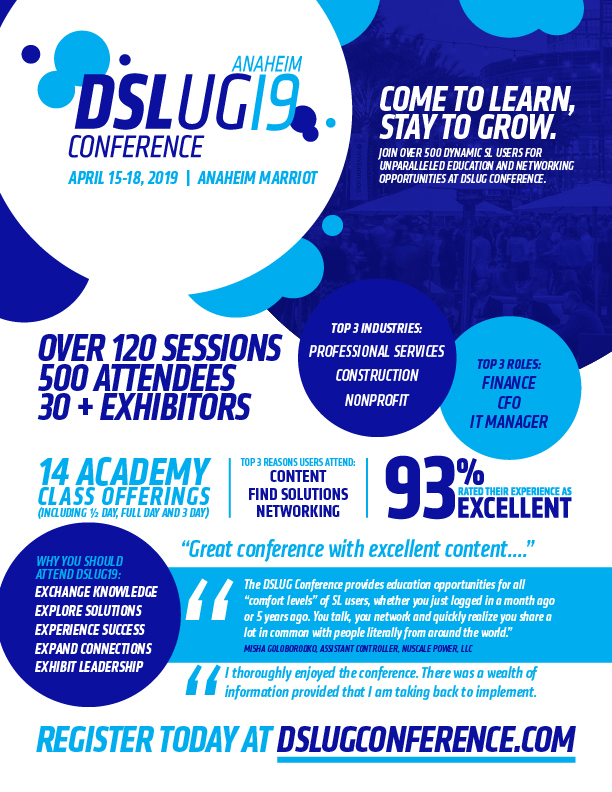 Take a look at our infographic to get an insider's feel for the education, networking, and benefits of attending the DSLUG 2019 Conference.